The Kettler Favorit Rowing machine is widely used as a full-body workout machine and it is very effective in toning the arms, thighs and hips also reduces the bodies extra fat making your physic look good and better than ever before. The Kettler Favorit comes with surplus of features which includes a smart LCD display, broad and comfortable seating a durable under seat rails. It is equipped with a pulse rate sensor and you can optionally take the heart rate monitor which easily link ups to the Smart LCD monitor in the machine. You can easily keep a count of every work out data as it is saved in the monitor for the progress of the body workout. The Kettler Favoirt Rowing machine is a very fine piece of The German Engineering giving you a rare life time warranty on the frame of the machine and 3 years warranty on the parts of it. The Kettler Favorit Rowing Machine offers very interesting features which make the workout more efficient and easier for the user to work on. It is equipped with a very high resolution of LCD Smart display monitor. It has a unique Infrared Earlobe sensor which enables to determine the pulse rate electronically. For measuring the heart rate (optional) the fitness machine comes with a Polar T34 Chest Strap heart rate monitor which has the ability to transmit the heart rate measurements wirelessly to the machines monitor/computer. This machine works on hydraulic mechanism which gives the option to set the resistance from 1-50 knurl marks for each movement. It has specially made biomechanically perfect footrest. The frame gives a strong stability and is rock solid in looks. It is especially made with carbon steel giving it more strength and power to sustain heavy and intense workout. The frame is coated with a special powder to give it a perfect solid glow and finishing. The seating is very comfortable as it is coated by layers of foam and there is high quality of ball bearings fitted under the seat for the smooth movement on the rails. It comes with a very easy to use Smart LCD monitor which keeps a record of all the activities done on the machine while doing the workout. The strong frame is made very strong that it can sustain the user weight up to 285 lbs. The Kettler Favorit Rowing is a great mid-range rowing machine, which give you different options to work out on your full body. It design and durability makes this machine as a German Engineering Masterpiece. It helps you to optimize your workouts and improve it every day. Nothing is perfect in this world also the German Masterpiece lacks in some qualities. This product is no doubt a master piece therefore it consumes a lot of time to get in shape during the assembly process. There is a big size guide with images which guide perfectly to assemble the machine but if you are technically sound you will assemble it in 1 hour but, it has been observed that in some cases it took nearly 3 hours to only get assembled. The fitness machine is designed perfectly for medium and above then medium height persons. The machine has many ergonomic features which makes it unmatched for tall heighted persons. It has been equipped with a hydraulic resistance mechanism which has a drawback worldwide that the hydraulic mechanism looses resistance as the intensity of the workout increases, so it happens here also. But the good thing is that all the machine which uses these mechanism looses the resistance after 20 minutes but the Kettler Favorit machine stretches the resistance duration up to 50 minutes and also gives the option of different levels of resistance so you can increase the resistance as the time increases to make your workout perfect. Rowing is a particularly balanced form of training which exercises all the main muscle groups and increases personal stamina and endurance. 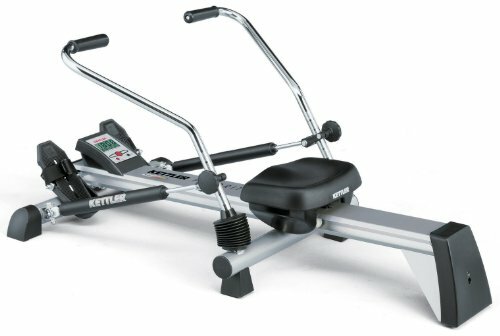 Here is unbiased review of Kettler Favorit Rowing Machine by fitness experts. Previous ArticlePro Leg Stretcher by TMAS Review – Read Before BuyingNext ArticleHow Much Protein Should You Eat Per Day?